Okay, okay, I admit it. When it comes to sporting events, I'm just there for the food. I come from a family of sports enthusiasts, and I'm definitely the odd one out. My mother loved football, especially her Oregon State Beavers. My youngest brother was a Green Bay Packer in scrimmages with his buddies in grade school before he switched to the Blazers' LeRoy Ellis in pick-up games in middle school. Me? I imagined beaming up to the Enterprise so I could explore strange new worlds with Mr. Spock. So now when we're invited over to friends' homes to watch sports on a screen the size of a starship, I tend to ply the circuit around the snack table that's usually groaning under bowls of chips and dips, chili and even the odd pork shoulder. 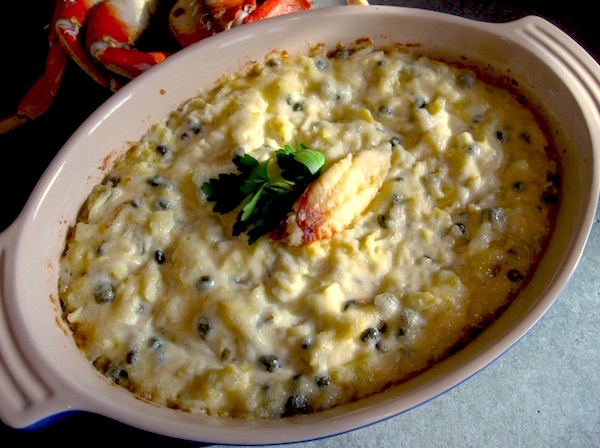 Hot crab and artichoke dip. 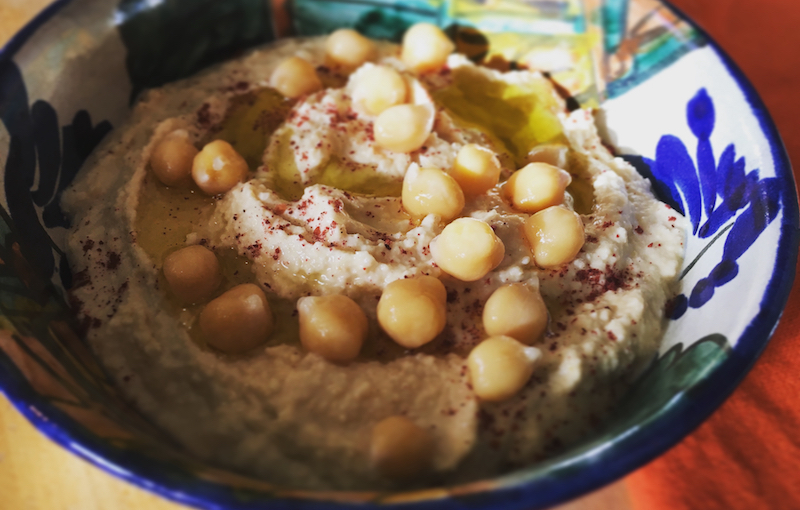 Whether you're a sports fanatic or hoping that Elizabeth in "The Americans" targets you as her next victim…er…informant, here are some of my fave recipes for game day snackage, and a killer chili recipe for the big game or any time. The following chili recipe makes enough to feed a crowd, so feel free to halve it for smaller gatherings. The day before making the chili, put the dried beans in a medium-sized pot. Cover with water by 2 inches and soak them overnight. 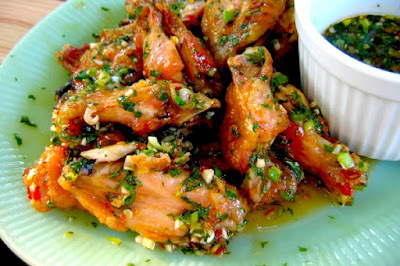 Make the sauce, place the torn chiles in a heat-proof bowl and pour the boiling water over them. Soak for 30 min. until they are soft and pliable. Drain them, reserving the soaking water, and place them in the bowl of a food processor or blender. Add remaining ingredients and 1/2 c. soaking liquid and process till smooth, gradually adding the rest of the soaking water. If you have a larger processor, add the tomatoes or simply stir them together with the chile sauce in a large mixing bowl. Heat a large Dutch oven over medium-high heat and add the oil. When it shimmers, add the chopped onions and sauté until tender. While the onions cook, slice the beef chuck into 1-inch pieces. Add the garlic to the onions and sauté briefly. Add the oregano, beef cubes and chile sauce. Stir to combine and place in the oven for 1 1/2 to 2 hrs. until the beans are tender and the meat is almost falling apart. Salt to taste.